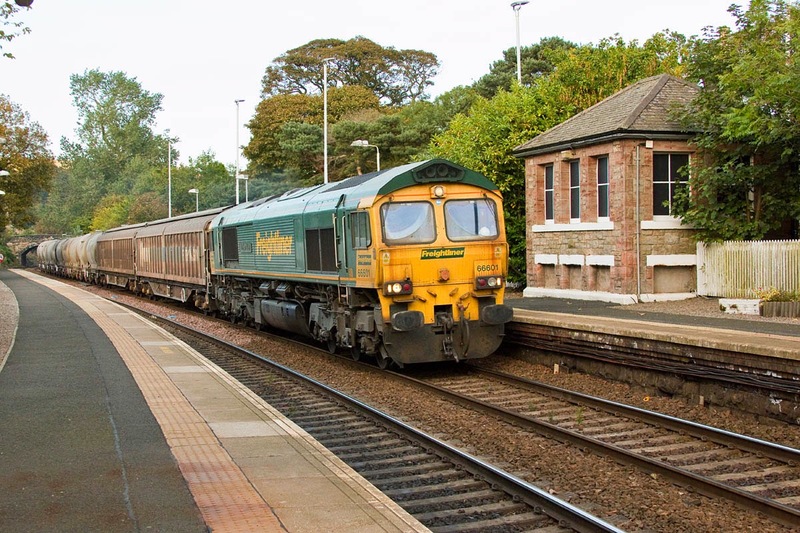 66601 The Hope Valley leads south at Aberdour on 19th August. This is the only regular freight on this line. Eight days later, the same locomotive leads the train, which runs full via Stirling thus avoiding the Tay Bridge. The 1890 completed signalbox was in use until December 1979 and is now a listed building. There were plans for a cafe, but the promoter appears to have established elsewhere in the village. 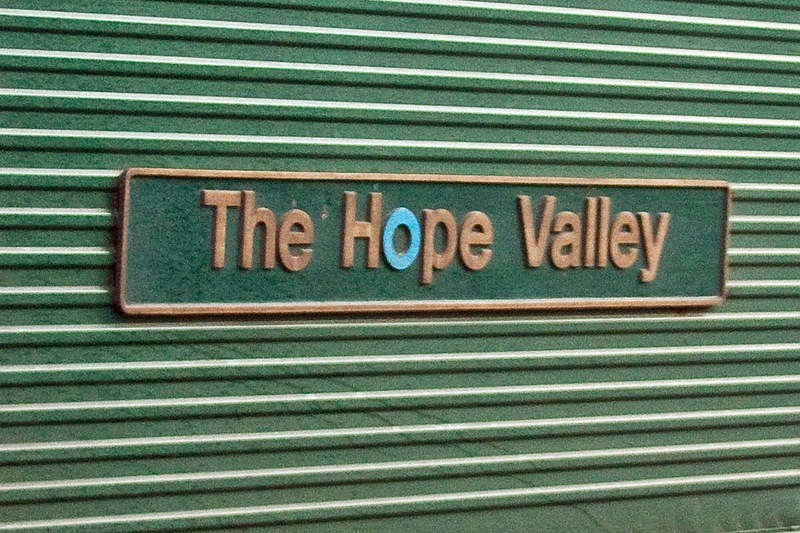 Nameplate detail for 66601. 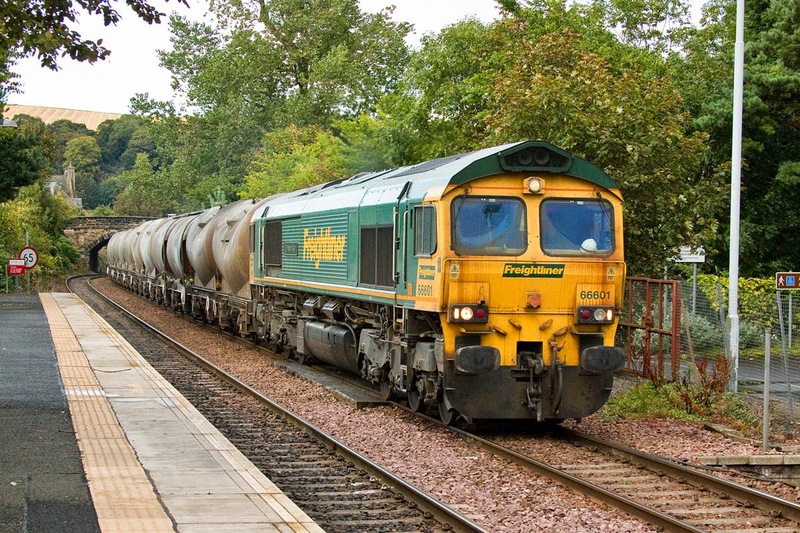 The other locomotive on cement duties from Oxwellmains (near Dunbar) just now is 66622.